It’s a traditional family panto and what it lacks in opulence – the sets are practical rather than sensational – it makes up for in the collective enthusiasm of its hardworking cast. Leading the team is Anne Nolan, revelling in the evil of her Wicked Queen, though she reminds us of her musical abilities with a fine rendition of the power ballad This is the Moment. The first act is rather wordy, with not too much for younger audience members to react to but the pace quickens and the comedy increases after the interval. By the time we get to that old panto favourite, The Twelve Days of Christmas, the whole house has been won over. Emma Brown makes a delightful Snow White, while Grant Brookes excels as lively Henchman Ramsbottom, demonstrating a nice line in circus skills. This is definitely a ‘tried and tested’ panto rather than anything particularly fresh and original but it gels rather nicely and is never less than pleasant. 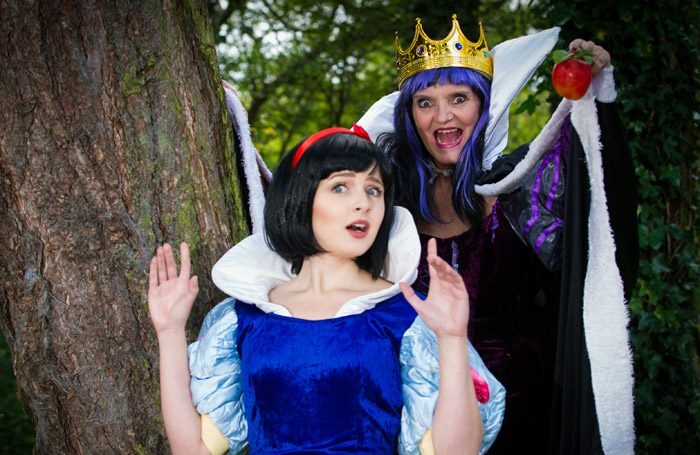 An enjoyable family-friendly panto that doesn’t attempt to break new ground.